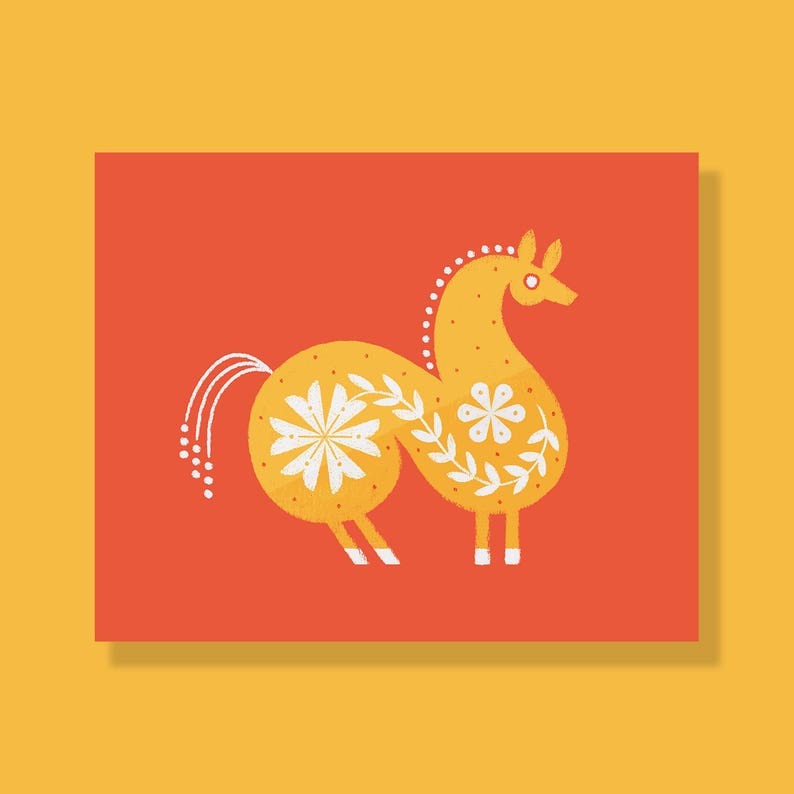 A simple print of a folk art horse. 8x10inch inkjet print on Speckletone Starch White Paper. My prints arrived quickly with nice packaging. They’re so cute! My roommate and I love them. This charming hedgehog is traveling toJapan with my granddaughter. You’ve inspired her! Your work is completely happy. Love this print, gave it to my daughter to share your lovely art.